Let’s Fight Ghost is a mystery romance drama about a reclusive university student and ghost exorcist, Park Bong Pal (Ok Taec Yeon), who falls in love with a feisty ghost with lingering regrets, Kim Hyun Ji (Kim So Hyun). Though their initial meeting is marked with hilarious savagery, they soon form an alliance, which leads to a budding romance. 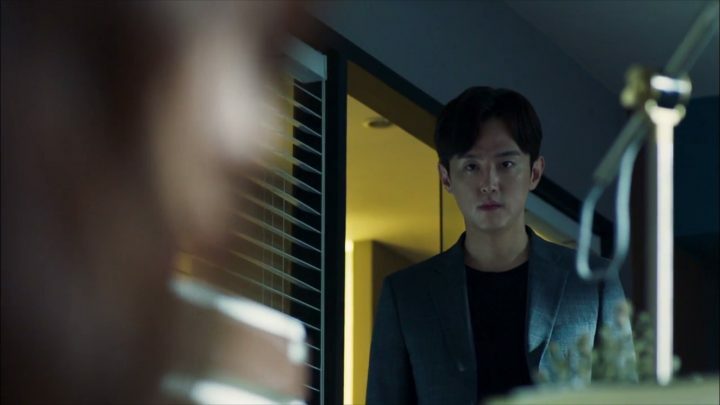 I’m impressed by the drama’s ability to reconcile seemingly contradictory elements into one endearing and memorable story – tragic ghost scenes are undercut by slapstick humor, and sophisticated cinematography is juxtaposed with exaggerated, funny camera angles. It feels that combining these elements shouldn’t make sense, yet they work together seamlessly. All contribute to unfolding Bong Pal and Hyun Ji’s background stories, which intertwine in unexpected ways. If the supernatural plot line doesn’t pique your interest, fear not – the cheeky romantic banter is definitely the most memorable aspect of the drama. Bong Pal and Hyun Ji’s interactions sizzle with chemistry and wit, making Let’s Fight Ghost the perfect lighthearted and adorable watch on both your best and worst days. The cheeky romantic banter is the most memorable aspect of the drama. The beginning of Let’s Fight Ghost, in short, is bizarre. The first episode features tacky ghost animations, odd characterizations, fragmented plot lines, and an oversaturation of dark lighting. Thankfully, the drama quickly finds its stride in the next episodes, establishing quality visuals and a more cohesive narrative. Bong Pal is an introverted yet good-natured university student who has been friendless ever since his mother died in his youth. He exorcises ghosts on the side to earn money to, ironically, cure his eyes of seeing ghosts. 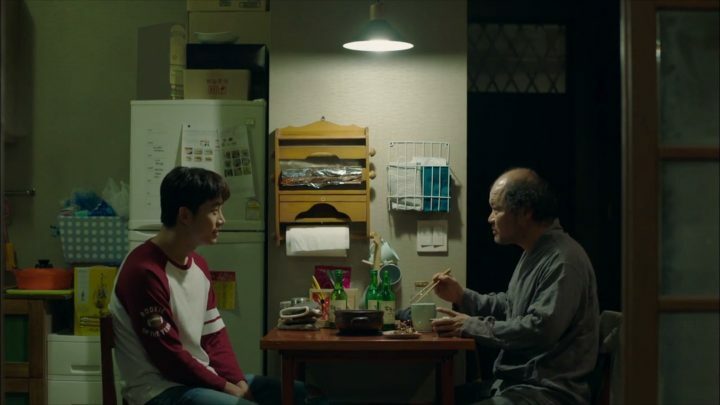 Apart from fighting ghosts, Bong Pal leads a normal life – he eats with his father figure, Monk Myung Cheol, harbors a crush on senior Im Seo Yeon, and attends a class taught by Professor Joo Hye Sung (Kwon Yul). So far, Taec Yeon’s interpretation of Bong Pal has been somewhat awkward and stiff, but endearing nonetheless. I hope that he continues fleshing out Bong Pal’s character as the drama progresses. Hyun Ji is an assertive and bubbly ghost with a penchant for food and violence. A wandering spirit for five years, Hyun Ji has lost all recollection of the past. Yet when she meets (ahem, wrestles with) Bong Pal, flashes of detail surrounding her death surface to memory. She recalls enough to realize that she needs to take her university placement exam in order to move onto the afterlife, leading her to strike a deal with Bong Pal: if he helps her study, she will help him fight ghosts. Unlike Taec Yeon, Kim So Hyun’s interpretation of Hyun Ji is expressive and genuine – she definitely embodies Hyun Ji’s sass and determination. Finally, we meet Choi Cheon Sang (Kang Ki Young) and Kim In Rang (David Lee), students who run an amateurish website called Ghostnet. Though their exaggerated slapstick was slightly annoying at first, I’ve grown to appreciate their antics and developing friendship with Bong Pal. These episodes of Let’s Fight Ghost are chock full of developments in the plot and characters’ friendships. Bong Pal and Hyun Ji are assigned increasingly more complex exorcism cases, which allow them to reflect on their pasts and reveal their own vulnerabilities. For example, a boy ghost reminds Bong Pal of his deprived childhood, which seems to be a key factor as to why he is so independent and antisocial. Fortunately, Hyun Ji, being the young energetic ghost she is, brings out Bong Pal’s mischievous and relaxed side, allowing him to freely express all the emotions he repressed during childhood. Conversely, Hyun Ji lives vicariously through Bong Pal by attending university and going on adventures with him, milestones she missed out on in her lifetime. I love their relationship – it’s clear that they are helping each other grow in skill sets and personal qualities alike. Underneath their constant bickering, which is as amusing as ever, their fierceness is slowly dissolving into warmth. 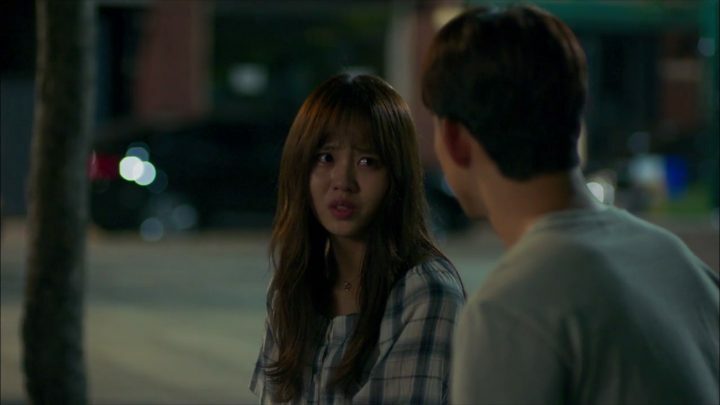 Thankfully, Taec Yeon is beginning to match Kim So Hyun’s acting chops and does a better job of encompassing Bong Pal’s emotional complexities. While Bong Pal and Hyun Ji are at the forefronts of defeating evil, Professor Joo descends into moral darkness. His sinister intentions have been hinted at before, but now his creepiness is confirmed. Kwon Yul’s nuanced gestures, especially his eye twitches and unsettling smiles, elevate the horror behind his actions. I’m curious as to how he is tied into Bong Pal’s fate, as well as how he became so depraved. The cinematography has been stellar throughout this section. Not only does this drama feature the most aesthetic food shots I’ve ever seen, but also the most cohesive color scheme. Each scene is awash with blue and green hues, ranging from soothing to garish depending on the mood. I also love how when an evil ghost corners its victim, the camera always pans out at the last second, creating an unsettling ambiguity about each person’s fate. Whereas the first half of Let’s Fight Ghost focuses on Bong Pal and Hyun Ji’s actions, the second half emphasizes the main characters’ growth and backgrounds. Regardless, I have no complaints, as these episodes bring out our main leads’ raw emotions. These episodes bring out our main leads’ raw emotions. Despite his initial awkwardness at her confession, Bong Pal officially begins dating Hyun Ji after he realizes how empty he feels without her. 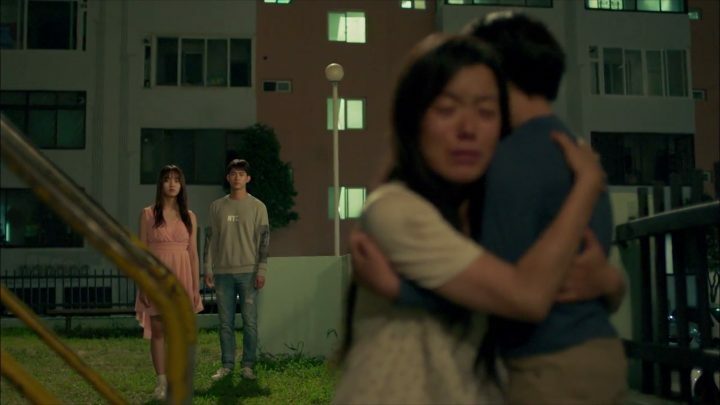 Both are frightened when Hyun Ji’s existence is briefly jeopardized, bringing out Bong Pal’s raw despair and sense of loss. Taec Yeon is growing into his role, showing wider ranges of emotion as Bong Pal transitions from bliss to rage. Kim So Hyun, as usual, deftly adds layers of realism to Hyun Ji’s characterization. These episodes especially focus on their adorable interactions with each other as they explore Seoul and help ghosts move to the afterlife. It’s refreshing to see Bong Pal’s indifference to others’ opinions actually proves to be beneficial for once, as he can focus his attention on Hyun Ji instead of the confusion around why he talks to “air”. Other supporting characters are revitalized via new angles as well. Monk Myeong Cheol’s role becomes increasingly more significant, as he wishes to protect Bong Pal from an evil spirit, who he begins investigating in full swing. His erudite and paternal qualities are revealed in these episodes, and he warns Bong Pal against dating Hyun Ji, for she must eventually move to the afterlife. Bong Pal and Hyun Ji’s idealized romance is shattered, but I love how they attempt to work through their feelings together. Bong Pal is now attuned to Hyun Ji’s unspoken feelings, and their simple yet genuine dialogue makes their romance so relatable. 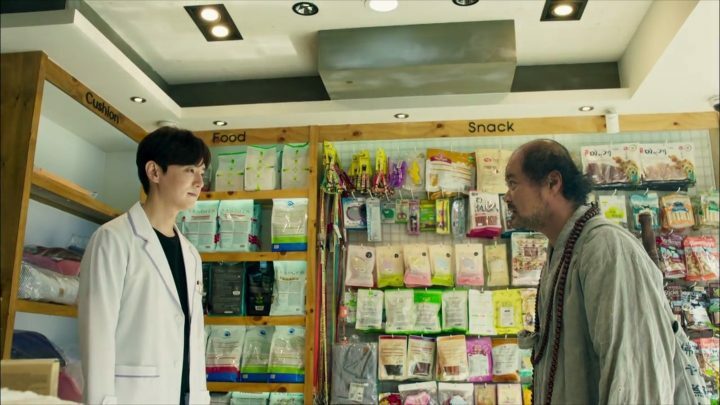 Though they can’t see nor hear her, Cheong Sang and In Rang are finally introduced to Hyun Ji, which injects more humor into an otherwise morose situation. In Rang develops feelings for Hyun Ji, which makes Bong Pal defensive, causing him to humorously thwart their interactions. Finally, Professor Joo intensifies his bent towards evil. He still seems quite one-dimensional and the lack of motives doesn’t help, so I hope the writer eventually offers a reason behind his acts of violence. Let’s Fight Ghost shifts drastically in narrative with the introduction of role-reversal and major plot twists. Bong Pal is forced to spend time apart from Hyun Ji, not knowing if they’ll ever reunite. His demeanor has completely changed; he becomes spiritless and even misses class. But as bad situations never last long in this upbeat drama, he is able to see Hyun Ji relatively soon after her departure. However, certain circumstances cause Hyun Ji to lose her memories with Bong Pal, leading him to proactively attempt to win her back. Though I usually wouldn’t condone this overused plot device, it’s well integrated within the logic of the story, so it doesn’t bother me too much. This role-reversal of Bong Pal chasing Hyun Ji provides overflowing humor and evidence of his unending loyalty to her. Bong Pal is calm and joyous while cooking for her, teasing her, and texting her late at night. Again, these everyday romantic gestures ground their love story in reality. I have mixed feelings about Hyun Ji’s new character developments. However, I have mixed feelings about Hyun Ji’s new character developments. She purposely lies to Bong Pal and epitomizes naivety in trusting Professor Joo, despite knowing nothing of him. This seems like a step backwards and a convenient excuse to create further conflicts in the drama. However, she exhibits subtle yet noticeable growth in maturity, which Kim So Hyun portrays beautifully. The ending of Let’s Fight Ghost cohesively resolves the mystery surrounding Professor Joo’s motives, Bong Pal’s mother’s death, and Hyun Ji’s past existence. I’m fully satisfied by how their stories all connect in logical ways, and I’m glad that Bong Pal and Hyun Ji can now live out their romance in a stable manner. All characters are given sound closure. Hyun Ji finally takes her university exam. 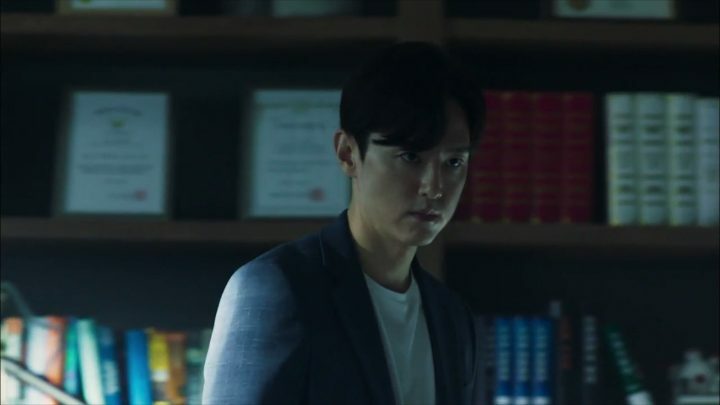 Professor Joo feels remorse for his past actions. And Bong Pal has opened himself to others, allowing him to make friends. With both dark and romantic elements, Let’s Fight Ghost is an excellent watch for those seeking a thrilling, unconventional take on the classic ghost story.